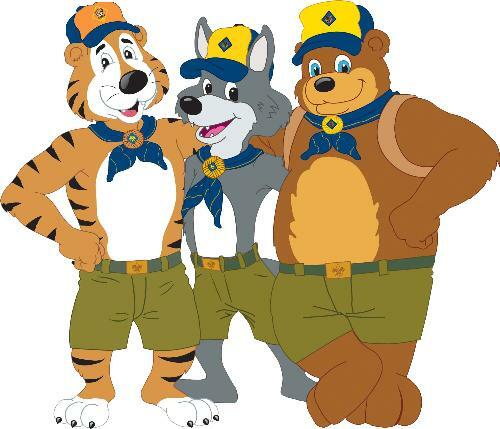 Welcome to Cub Scout Pack 326! We meet at St. Patrick Catholic Church in White Lake, MI. Our Pack meetings are usually the last Friday of every month at 7pm. Den meetings are weekly and vary on day and time depending on the den. We are over 60 families strong and provide a very active program for all scouts including many overnight and offsite opportunities. To become a member of our pack, contact our Committee Chair, Wendy, at 248.632.3230. If you are a current member of Pack 326 that needs access to our secure site please contact Wendy at matheson94@gmail.com. Pack 326’s vision is to build desirable qualities of character, train in the responsibilities of participating in citizenship, and develop personal fitness in scouts. Prepare scouts for the future by exposing them to a variety of life experiences through the pursuit of achievements in scouting. Develop youth into leaders and valuable contributors to society guided by the Cub Scout promise, Motto and law of the pack. Pack 326’s mission is to help scouts develop ethical decision making skills by using the purpose, method, and ideals of scouting as tools that provide opportunities to have fun, learn, and grow. Specifically to provide scouts a learning environment that allows them to develop skills, while having fun achieving rank, acquiring skills by completing achievements, and participating in activities such as service projects, go see it’s, derbies, camping , Den and Pack meetings. Our vision for Great Lakes Council is to accomplish the mission of the Boy Scouts of America by providing exemplary, challenging, innovative programs and activities to the greatest possible number of youth. Achieving this vision requires that we be recognized by our public as the premier youth organization in the communities we serve and by other Councils and the National Council as second to none in our endeavors.